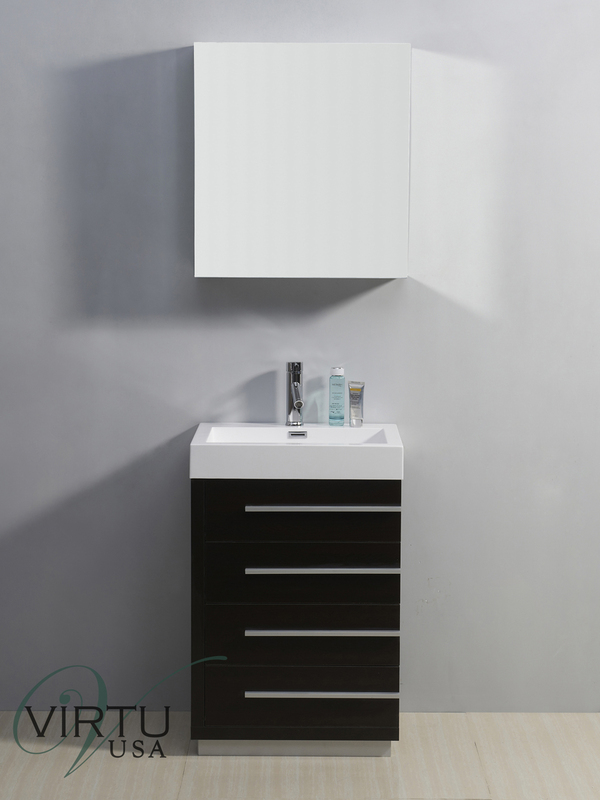 Transform your bathroom into a work of art with the 24" Bailey Single Bath Vanity. 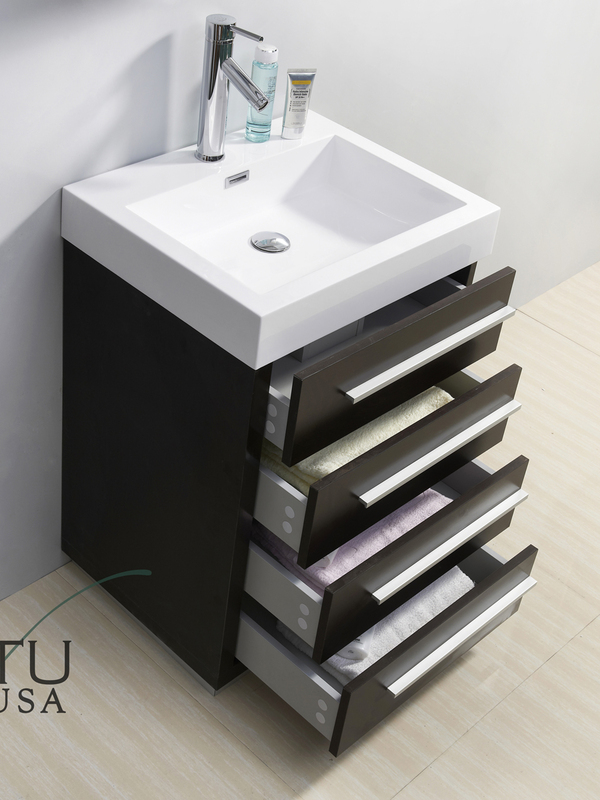 The four drawers offer plenty of space for all your bathroom necessities. 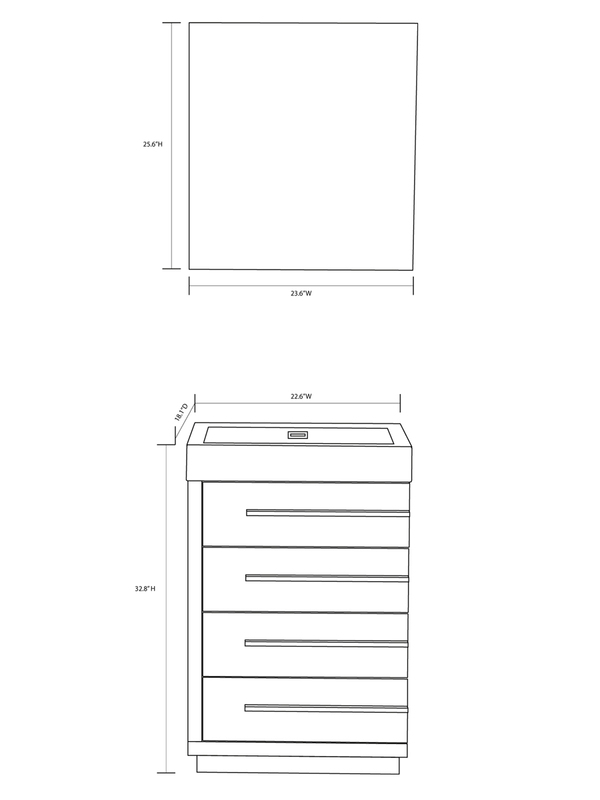 They are each installed with soft-closing glides and accented with Satin Nickel hardware. 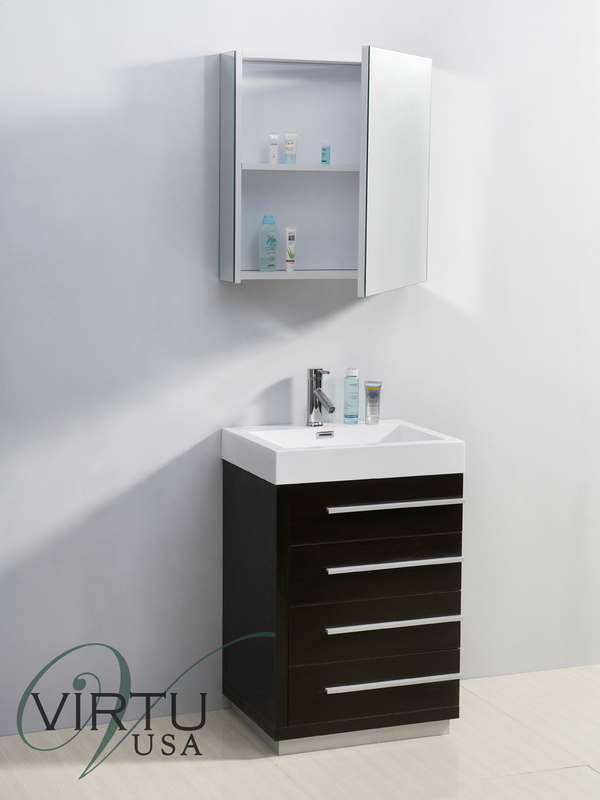 Its top is constructed from polymarble and feature an integrated sink top design. 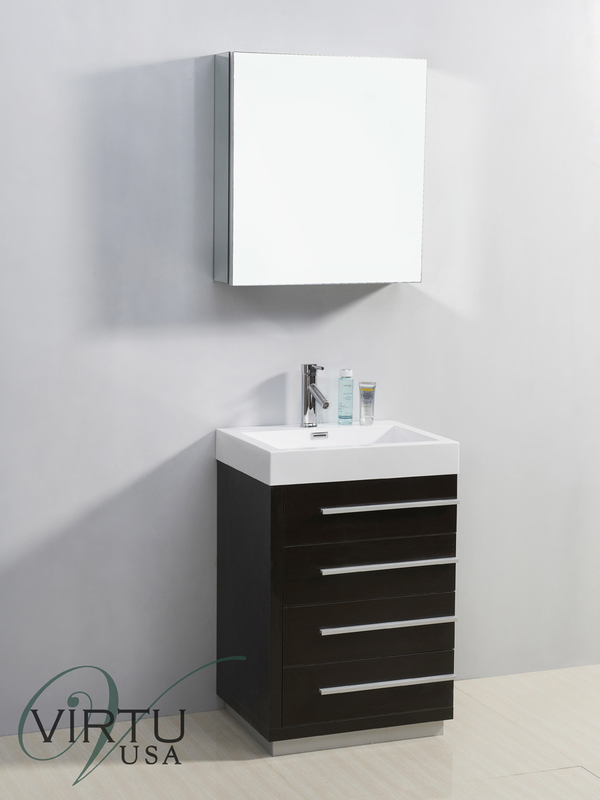 A chrome faucet and medicine cabinet is also included with the Bailey Single Bath Vanity.